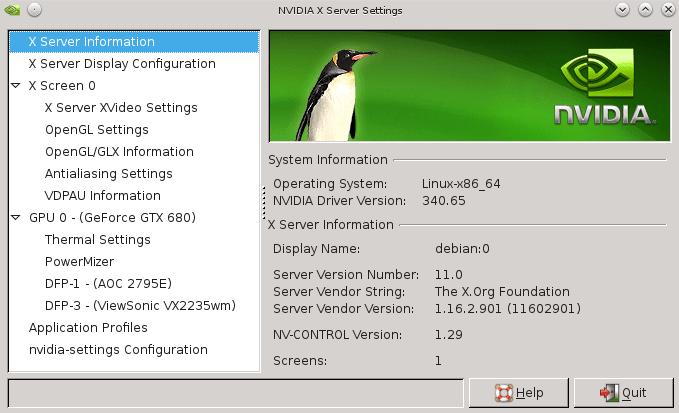 During the installation you will see a notification about conflicting version of the free software nouveau nvidia driver with your currently being installed non-free nvidia kernel module which you can simply ignore. The free nouveau kernel module is currently loaded and conflicts with the non-free nvidia kernel module. The easiest way to fix this is to reboot the machine once the installation has finished. or by starting it using a relevant menu under the start button to access more nvidia graphic card configuration settings.